I just heard from Neil Chippendale, Local Studies Librarian, about the next Family History Talk to be held at Hornsby Library. Unfortunately I won't be able to attend as I will be performing at the Unlock the Past Expo in Brisbane but I can recommend the talks at Hornsby as being good value. I attend them whenever I am able. Jeremy Palmer will give a talk on English & Welsh Probate Records at Hornsby Shire Library, 28-44, George Street, Hornsby 2077 on Wednesday 27th June 2012 at 6:30PM $5:00. It is important to prebook for these events as they often sell out. For further information phone Hornsby Local Studies: 9847 6807. Among the family members recently added to my family site on the web is another priest, my first cousin 3 times removed Rev. Patrick Matthias Ryan, who worked in New South Wales in the 19th and early 20th centuries. Trove tells me that he died suddenly on board the North Coast S.S. Company's steamer Brundah, while en route from Richmond River to Sydney. After many years I am making some progress with my Ryan ancestors. I thank Michael who recently contacted me after finding a blog post of mine through a Google search; armed with the information Michael gave me I have been able to find more descendants of my ancestors Thomas Ryan and Ellen Harrington from County Westmeath in Ireland. The upload to my TNG site tonight was the first I have made using a gedcom file from The Family Historian. As has been the case with uploads from The Master Genealogist this upload proceeded without a hitch. Would you consider a Chromebook? Travelling in my luggage to the Unlock the Past Queensland Expo will be my Blogger Bling. I hope to meet many Geneabloggers from Queensland during my time at the Expo. So that it is easy to recognise other Geneabloggers in the crowd I will have a supply of blogger beads for them to wear. Is common at overseas conferences for bloggers or members of other groups to wear some identifying paraphernalia so that they are easily recognisable. At the recent Congress in Adelaide a small but enthusiastic group of Geneabloggers stood out in their beautiful beads from New Orleans. 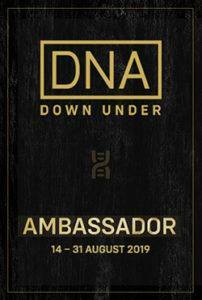 A number of the Geneabloggers who were in Adelaide will be at the Brisbane event. I hope they remember you bring their beads along. If you are a blogger attending the exhibition please seek me out so that I can festoon your person with some Blogger Bling. Hopefully we can organise a Geneabloggers or Social Media Mob photo sometime during the Expo. Star attraction of the event Audrey Collins from England loves her Geneabadges and Geneabling - I do hope she remembers to bring some downunder. Where would I be without a computer to support my genealogy habit? I think that I started researching my ancestry in 1988. 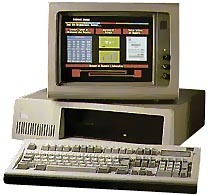 Although I was the proud owner of a 286 model computer (with the Intel to 20986 chip) at that time I did not use it for my research rather I kept my data on index cards, my notes in a spiral-bound notebook and, as I do today, my certificates and documents in three-ring binders. After I took delivery of of my Osborn 486-25 120mb HDD computer @ $AU3395 with 5 year warranty on April 6, 1992 I gave serious thought to using it for genealogy. Initially I developed a home-grown spreadsheet to record my data and then moved on to using database software. I realised that there must be more people in the world who were trying to do the same thing so I investigated commercially developed genealogy software packages. I cannot remember the names the first two genealogy the andpackages I purchased and tried. I puddled along with their use for a few years before finding and purchasing The Master Genealogist for $185 from Gould Genealogy in 1997. I have been using that program now for 15 years. Recently I decided to investigate other software packages and have purchased The Family Historian (for significantly less dollars) which I think I will use as my main application. It was in the mid nineties that I started working in a school that had a laptop program. This gave me access to a laptop for home use and, as a volunteer for any educational initiative, I was given unlimited free dial-up Internet access. Once I had that laptop I was became aware of its possibilities; it was not long before I had purchased my own laptop and started using that for genealogy. Since then I have owned a host of laptops including heavy ones, light ones, touchscreen ones, Macs and PCs. Presently I have a laptop, netbook and tablet. Undertaking an internet training course in 1995 got me completely hooked. I organised access for home and email addresses for the family and we joined the information superhighway. Some time before the turn of the century I started using Rootsweb mailing lists to communicate with other genealogists. Somehow I managed to connect via email and Rootsweb with new found cousins who generously shared their data with me but, in the the early days, by snail mail. Fast forward to today. I use my computers on a daily basis for genealogical pursuits. Social media allows me to communicate and collaborate with cousins and genealogy contacts all around the globe in both synchronous and asynchronous modes. I am able to share ancestor anecdotes and genealogy news via my blogs. The family history that I have chosen to publish on the Internet is not static like a printed family history, it is a dynamic, living family history that I am able to update on a regular basis as new information comes to hand. Although I still make many visits to libraries and archives to look at original documents computers make it possible for me to prepare for these visits by using the online catalogues from these repositories. Similarly digitisation projects have enabled me to carry out research and access copies of original documents from the comfort of my kitchen. I am flummoxed when I meet family historians who do not own computers or, if they do, do not use their computers for recording or researching their family histories. A computer is an essential tool for the 21st century genealogist. Do you know Nellie Francisco? Going through an old photo album with my Mother today we came cross this photo "That's Nellie Francisco, I was her bridesmaid", Mum said. Knowing that the photo was taken in Cobar I had a look at the NSW Registry of Births Deaths & Marriages Online Historical Indexes. I put Francisco in the Brides Last Name at Marriage box, selected a date range of 1935 to 1945 and Cobar as the District where the event was registered. Here is what I found. 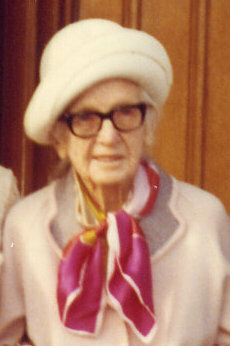 It appears that Nellie (Ellen Elizabeth) became Mrs Jack Richard Buckley in 1940. Mum couldn't recall the name of the little flowergirl. I wonder who she was? The Bambino needs an outing so I am taking her for a run down to Nowra on the beautiful South Coast of NSW shortly. What will make this outing special is that I will have a chance to meet and chat with a whole bunch of family history buffs. I was thrilled to accept an invitation from Gould Genealogy to help out on their stand at The Shoalhaven Family, Local and History Fair 2012. If you are coming along please stop by and say G'day. Gould is one of many organisations that will have displays at the fair; additionally there is a program of talks with a focus on the Shoalhaven area. The Fair is being held over two days, 15th and 16th June, in the School of Arts, Berry Street, Nowra. Further details can be found on the Fair Website, http://www.shoalhaven.net.au/historyfair/. Looks like an interesting history book from The National Trust especially for those with links to The Casey Cardinia area. I am still getting comments about the Top 50 genealogy blogs article that was published recently in Inside History Magazine. While the blogs on that list and others in a similar vein comprise a major part of my daily reading regime I do not confine myself to reading genealogy blogs. How boring and limiting that would be! I regularly read a whole host of blogs that in my RSS folders: Books, Technology, Education, Travel and Interesting. Much of the information I glean from these blogs can be applied to genealogy, some resources described are suitable for genealogy and some of the ideas contained in them give me inspiration for my blog posts. Reading broadly certainly enhances my genealogical knowledge. What are your favourite non-genealogy blogs? To say that I have been pestering the Editors of Inside History Magazine, my favourite Aussie Genie Mag, to publish a version of their Mag for Android is an understatement. I was thrilled to see the news on FB that this fab production is available for we Android users. Congratulations Cassie, Ben and team on this move. Seeing my family data presented in a new format this week has made some glaring omissions jump out at me. My kids always claim they have trouble buying gifts for me but I think that my genealogy obsession makes me easy to buy for. There are so many genea geegaws, apps, magazines and books that I would love to have but baulk at purchasing. On the eve of Mother's Day I was visiting one of the kids who said "I still don't have a Mother's Day gift for you". My response was "You can buy me a piece of software if it's not too expensive". She agreed and passed over her Amex card so I could make the purchase then and there. As a result I now have a copy of "The Family Historian", version 5. When I first looked at it I was flummoxed as the interface is so different from The Master Genealogist that I have used for over ten years. Last night I imported my gedcom into The Family Historian and started playing. That I did not need to refer to any help to accomplish this was a good sign. The data transfer appeared to be clean except for some of my notes. After a couple of hours playing around with the excellent (included at no extra cost) guide I began to feel quite comfortable negotiating the package. I added a couple of people, added some events, modified some records and added some sources referring to the free guide "Getting the most from Family Historian 5" beside me. I like that when in the Project Window that lists everyone in my database I can sort by each column eg Name, Dates, Birth Place, Relationship to Root Person (me but can be changed - nifty) and Date Modified. Down the track I will be able to customise this to see other than the fields that are presently displayed. Looking at my data from this summary view a few things jumped out at me: it was easy to see where I had no birth details (and I was able to fill in some straight away) and to identify my closest relations to whom I will give priority attention. I like the ease with which one can negotiate from the Project Window to individual people's records. I have yet to explore the customisable Ancestor and Descendant Diagrams but they appear stunning. I viewed a couple of reports that can be shared and printed,; this was a simple process. When I mentioned to people at Congress in Adelaide that I was exploring new software options I got a range of responses most of which fitted into the "If it ain't broke don't fix it" category. I will not throw my present program away without careful consideration. Why did I decide to seek out new software? * Having used TNG (The Next Generation) for publishing my tree online I realised that by comparison The Master Genealogist is rather clunky. I was seeking something with a more user friendly interface that was easier to navigate. * I discovered that there is an addon from Family Historian that makes publishing to TNG ever easier than what it is. * I thought a product from the UK would be more in sync with my needs as the ancestors all came from the Old Country. * My genealblogging mate Shelley, from Twigs of Yore, has blogged about her positive experiences with Family Historian software; I value Shelley's opinions highly. Unlike me she thinks carefully before making decisions. * A prominent Australian genie person has indicated that, in his opinion, The Family Historian is one of the two top programs available. * There are positive reviews on GenSoftReviews for The Family Historian. * As with The Master Genealogist there is is online support from an active group of forum members. * I believe it is a good idea to check the market occasionally to see what alternatives are around -otherwise I'd still be using Internet Exploer for web browsing. 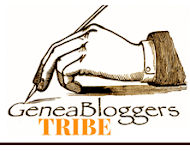 There are some useful tips here for geneabloggers and users of other social media. FamilySearch.org -- What's Your Story? Miles Meyer shared this great new video on Google+ today. It gives a clear explanation about Familysearch's history and workings. Take a loook for yourself. 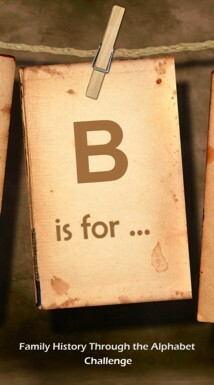 B is for …Billion Graves or, for that matter, any other site that shares headstone photos and data about people's final resting places. I am on a number of lists where people offer to take photos of headstones for others. These random acts of genealogical kindness (RAOGK) are commendable but the results of the efforts taken by the kind volunteer photographers usually only go to one family member. I just wish these volunteers were getting better value for their efforts. If these volunteers were to contribute the images they take to a site like BillionGraves (my fave), FindaGrave, or The Australian Cemeteries Index then the photos they take and details they record would be available for posterity (hopefully) to anyone now or in the future. Some genealogists self-host sites where they share photos of cemeteries they visit, the sterling work of Carol of Carol's Headstone Photos comes to mind. I like BillionGraves because it is an international site, one only needs to take pictures as other volunteers transcribe one's images, I can use my mobile phone for the task and best of all GPS co-ordinates are added to images so the graves and headstones are easy to locate. As one who has spent may hours in hot, dusty cemeteries trying to locate graves I appreciate this fab feature. If you are feeling generous and offer to take some headstone photos for others please consider using a service like BillionGraves and making your images accessible to a wide audience. Later in the year I will be taking another holiday for a couple of months. While I have some vague plans to visit a few repositories in other lands the focus of this trip will be visiting new places; my travel bucket list promises to shrink a bit! What of my blogs? Blogging advice sites suggest that one needs to post regularly and consistently to maintain connections with one's readers. I will have to let Android Genealogy languish as it is basically a news and notifications blog. I will post to this when I find something newsworthy and an internet connection at the same time. Although I cannot maintain my regular posting routine with Geniaus I like to have at least one post per week scheduled before I take off on a trip. The time to organise this is not in the week prior to leaving but as far ahead as possible so I am already scheduling posts for October, November and December. Where will I find subject matter for these posts? I will turn to the Daily Blogging Prompts at Geneabloggers and use some of these. I will look for inspiration in Amy Coffin's Big Genealogy Blog Book. I will find some photos in my stash with unidentified people for "Do you know?" posts. I'll have a look at an International Days list and see if something there ignites my interest. My diary may give me ideas for "On this day in ---- posts". I can search my family site for BDMs and other events that occurred on any given date. From my collection of digital photos, many of which are dated, I can find photos of the ancestors to share. I can share some articles from Trove that relate to members of my family. I could even repost some of my more popular posts for new readers to enjoy. Now I just need to find the time to act like a boy scout and "Be Prepared." I am a notorious failure when it comes to ongoing Geneachallenges. Because of my travel habit I cannot keep up with these challenges because the themes are usually secret until posting week which may find me in a foreign country without internet access or time to compose a post. This present challenge is perfect as I can plan and write my posts ahead of time and just paste the image in at posting time. Thanks, Alona, for organising this activity. My second issue with this challenge is that I was inspiration challenged when it came to thinking of a theme for my posts - I wanted something to reflect my interests. Today I was talking (via Skype on my Android Tablet) to Alan Phillips from Gould Genealogy for quite a while about the topics I will be presenting at The Queensland Expo and the 3rd Unlock The Past Genealogy Cruise. 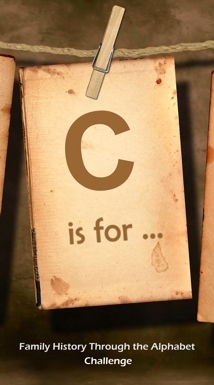 After the 'phone call I was reflecting on my topics and realised that my theme for this alphabet series will be technology and its relationship to genealogy because that is what I love. 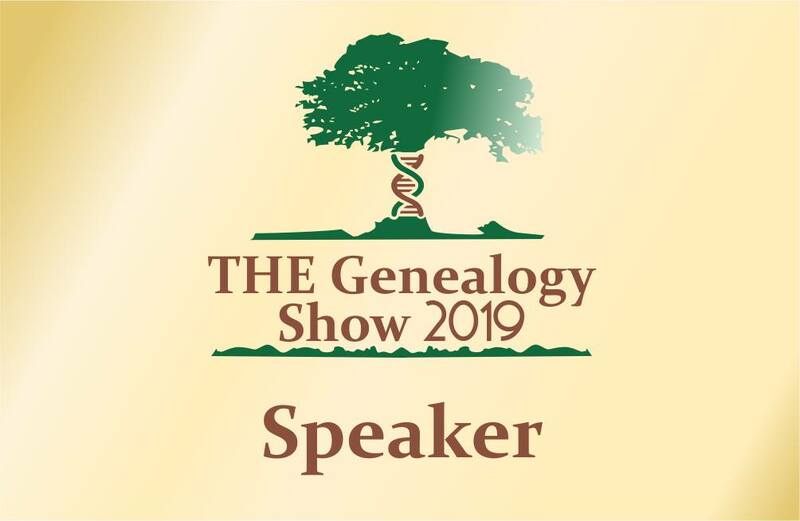 During the course of the challenge I will highlight some Apps, Blogs, Connections, Devices, Etc that help me negotiate my genealogical journey. 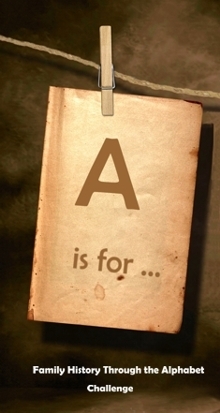 A is for Android I have an ongoing love affair with my Android devices (Tablet and Phone) that allow me to do genealogy Anywhere Anytime. More than 50% of mobile phones sold in the US and the UK are Android devices yet many genealogists do not realise what little genealogical powerhouses they carry around in their pockets or purses. If you have an Android device you too can do one, two three or all of these of these things when you are out and about. To hear more about Android Genealogy please consider following my Android Genealogy Blog, http://androidgenealogy.blogspot.com , where I post links to news articles and advice for those who want to use the Android Devices for Genealogy. Although I have had an Evernote account for over a year I have only gotten serious about using it recently. I have Evernote Apps installed on four of my tech toys so that I have easy access to my notebooks from wherever I am. Rather than making learning this tool a chore I am learning on a needs basis. As I tidied up my study this week I came across this undated clipping from the Sydney Morning Herald's Column 8 that makes reference to Mr Geniaus aka R. J. Ball. ....it's almost too much for an old girl to bear. Earlier this week I wrote about a response I had to my one of my "Do you Know...?" blog posts. I often hear from other people via comments on this blog or my family web site. Now aren't I fortunate to have an Ancestry.com account! I hopped on to that site and found details of extra siblings for Bridget and some family stories. And you know what I am going to do? Commit what some other genealogists see as a Mortal Sin - I am going to copy this information into my database and publish it online before I check my sources. I will then set aside a few hours to do a bit of research on these new cousins and add sources as I find them because my online tree is a work in progress that I share with others. If others choose to copy my erroneous infrmation they do it at their peril. But I digress. The purpose of this post was to share my excitement and stand on my virtual pedestal to promote social media as a marvellous means of making cousin connections. It's only 8 weeks since Mr Geniaus and I returned from our post-Rootstech holiday and I find myself planning for 2013. As Mr Geniaus has already booked a post-Rootstech (recovery) cruise we are committed to attending the 2013 Conference that will be held in Salt Lake City from March 21-23, 2013. I have just booked my flights from Australia to Los Angeles to arrive in plenty of time to get over the jet-lag before the Conference. Rootstech opened its Call for Papers this week and I have received my invitation to submit proposals so my thinking cap is on. Although I suffered from a a huge case of tummy butterflies this year I enjoyed presenting to an international audience and, as the only Australian presenter, I don't think I let my country down. That "traditional lectures depending entirely on text based slides are discouraged" suits me fine as I much prefer to give live demonstrations of the products I am discussing. I wonder if I am game enough to return to my teaching days and give a Hands-on workshop. The panel presentation I organised last year went down very well, it was a casual format and lots of fun. I have an idea for a panel for 2013 - I just need to find some victims to present with me. Last year I submitted four proposals two of which were accepted. I was disappointed that the proposal with an Australian flavour was rejected. I guess that the organisers did not think it relevant for a mainly US audience. I will reword it and submit it again as so many of the Americans I meet have direct or collateral lines in Australia and show a real interest in our Australian resources. The other rejection was for a non-genealogy resource with international appeal. I will rejig and submit this again as it fits in clearly with the Rootstech 2013 guidelines. 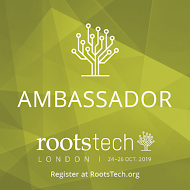 It would be great to see some new faces presenting at Rootstech so please consider submitting some proposals before June 15. If you are thinking about attending Rootstech just do it, it is a fantastic event. For Australians Qantas has amazing airfares on offer to the US until 21st May (or you can spend your frequent flyer points like I do) and the rates at the Conference hotels are under $US100 per night. If you are wary of attending such a huge event, let me know that you are going and Mr Geniaus and I will show you the ropes. When I looked at the date today some random memories came to me of a small white-haired elderly lady. She used to sing Irish songs and Catholic hymns with me, make sure that I knelt beside my bed to say my prayers, bought me many bags of caramel sweets and fed me egg-flips, corned beef and mashed potato and roast dinners. She grew up in Dungog, NSW and was living in Canowindra when she hooked up with my grandfather Thomas William Curry. I wonder why she moved from one small country town to another in the early 1900s but I guess I will never know. My Nanna, Mary Curry (nee Tierney), would have been 125 today. In Australia it is National Volunteer Week so I am taking some time to reflect on the opportunities for Australian genealogists to participate in voluntary activities to support the genealogy community. Without the work done by an army of silent volunteers each week our genealogy experience would not be so rich. I applaud the hundreds of volunteers who give their time on a regular basis to man and maintain the resources of the many genealogy and historical societies we visit. A number of local libraries like mine at Hornsby also have volunteers on hand to give assistance to those researching their family trees. One of the people I particularly appreciate is another Jill at the Ku-ring-gai Historical Society who co-ordinates catering for Society events (a way to a woman's heart is through her stomach). As the theme for volunteer week "Volunteers - Every One Counts" implies there are opportunities for everyone to serve their communities no matter what talents they have. As a recently retired travel tragic, who is the emergency carer for 9 grandchildren and sick leave relief for a family business, I cannot commit to giving this sort of regular help so I seek other ways to volunteer. My main voluntary activities are by making text corrections on Trove and taking and transcribing images for BillionGraves. There are other cemetery indexing projects like FindaGrave and Australian Cemeteries Index to which one can contribute. There are many other opportunities for people to do genealogy work at their own pace and in their own time. I owe so much to the volunteers at the Ryerson Index who have enabled me find many cousin connections. Familysearch welcomes new volunteers for their regular indexing programs and the current 1940 Census project. One does not need to be resident in the UK to be an Online Parish Clerk (OPC), you just need to have an interest in a particular parish. SAG member, Linda Bishop is the OPC Shipley in West Sussex. A number of genealogists like Judy Webster from Queensland have created specialised indexes that they share freely from their personal websites. Graham Jaunay from South Australia hosts Online names a free searchable database compiled from public submissions. I have recently joined the ranks of volunteers who share their expertise by writing articles and giving genealogy presentations at local societies and libraries. As an old teacher I find it most rewarding to be able to share what knowledge I have with fellow researchers. Blogging has given me opportunities to volunteer. In my role as Official Blogger for two international and one national genealogy conference I have had opportunities to publicise and highlight these events. As a result I have made many valuable contacts in the genealogy world in Australia and overseas. Don't let volunteering opportunities pass you by - stand up and say "Count me in"
First Contact from a "Do you know post? I am over the moon. From time to time I have been posting unidentified photos that I find in family albums in a series called "Do you Know?" Just a month ago I posted Do you know E Boatswain? and this morning received a comment on that post from a gentleman who lived near my Father's family in Waddell Street, Canowindra and who said " I feel sure that Earnie Boatswain who lived in Ferguson street is the person pictured. His parents were Earnest and Emma." The respondent also gave me some further information in his post that confirmed the name of the school my Uncle Kevin attended and the name of a girl Kevin dated. I wonder if this gentleman has any stories about my Dad, Allan John Curry. This is the first response I have had so far from this series of posts but it has given me encouragement to dig into the family albums once more to find more photos for my "Do you Know?" series. This recent death notice from Australia gave me a giggle but, at the same time, expressed very honest sentiments. If you wrote your own death notice what would you say? I take my hat off to Ku-ring-gai Council who today hosted a Social Media Seminar for representatives of local community groups. I went along as a rep from an organisation to which I belong. The groups represented included Rotary, the Local Police, Church Groups, Children's Groups and Cultural Organisations. The people in the audience had different levels of experience with Social Media; some had not ventured into the social media world and some were daily users. The presenter, Anne-Maree Kerr, was from Tri Community Exchange. I congratulate Ann-Maree on having slides with great graphics and little text and for talking without notes. Ann-Maree had a relaxed presentation style and gave us an insight into her personality by sharing some personal anecdotes. Ann-Maree started off well by giving a brief history of the web. She outlined the 5Ps she would cover during the session and launched into her presentation. I was quite impressed at this stage. After one and a half hours Ann-Maree had only given her introduction, mentioned some social media tools, scratched the surface of her 5Ps and talked at length about Facebook as a means of communication for community groups. Ann-Maree certainly knows Facebook inside out; I learnt about a few more Facebook features including Facebook's profanity blocker. I felt like I was attending a session entitled "Facebook (and Other Social Media)". After we returned from afternoon tea there was only just over an hour to cover the 5Ps and all other social media tools. Anne-Maree explained the 5Ps more fully and gave us links to a couple of Social Media Policies for Organisations. I would have liked to explore the policies in more depth but that is just my personal preference. Anne-Maree then demonstrated and talked about Twitter another tool she suggested as useful for organisations. At this point time was running out and I felt sorry for Ann-Maree as I thought she would have to rush with her coverage of Blogs, Google+, LinkedIn, Wikis and other social media tools. 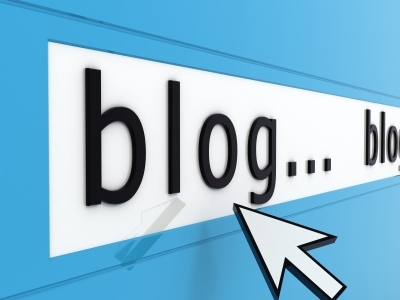 Ann-Maree told us that blogs still have a place. She gave virtually no information on Google+ a tool whose Hangouts offer enoromous potential for cash-strapped non-profits and community organisations to communicate for free in real time via video with their members and the broader community. It took questions from the audience for Anne-Maree to mention Wikis, a valuable tool for community groups to use to collaboratively develop online resources for their organisations and bookmarking services such as Digg and Delicious. Presenting to a diverse group of learners is a challenge and today Anne-Maree demonstrated that she is able to explain sometimes difficult concepts in simple terms that most can understand. What concerns me is that some participants will have left this talk without being exposed to a full range of social media tools to evaluate for use in their organisations. That some of them will go away and set up Facebook pages for their organisations is a positive outcome. Thank you Ku-ring-gai Council for hosting this event. This post represents my personal opinion and not that of organisation I was representing. Recently I decided to give Evernote a go. I have the app on 3 devices and am happily clipping away but that is as far as I have gone. Apart from wishing that I could easily export my Delicious links into Evernote I haven't done much exploration. I just read this article and have resolved to explore further. On rereading this post I realised that I have four devices - need to pop Evernote on my Android 'phone as well. For a few years now I have had difficulty negotiating the boxes in my study to get to my desk, filing cabinet and shelves hence I have lots of filing to do and my study is a big mess. I had taken to doing my genealogy "work: on the kitchen table and that had become quite cluttered. The space situation hasn't been helped as my study doubles as the babies' room with a cot and change table. Sometime last year Mr Geniaus suggested that we move the twin beds out of our 3rd bedroom and put them in my small study (Bed 3 is only used by the Grandkids when they sleep over) and that the cot, change table and I move into the larger room. I didn't say no. Yesterday Mr Geniaus had finished painting the new shelves he bought for me on eBay so the big move was on. Already I have emptied a couple of boxes and sorted through some papers. The folders that I organised and labelled last year are all arranged on the new shelves and my genealogy books have been moved off our regular shelves and are in my new study with me. I was concerned that our wireless internet wouldn't reach my new digs which are at the end of the house but thankfully I have a reasonable signal. I cannot get over how much space I have even though I am surrounded by cartons of photos and travel trivia that will take me ages to sort. After the weekend and the Hoo-Haa of Mother's Day we'll bring in another large shelf which will hopefully house all the photo albums. Thanks to Mr Geniaus for organising my genealogy cave. I love it. I was feeling guilty that I have so much space and he has a compact study but it just struck me that he has his big green shed plus storage under the house for all his toys. I just hope the Grandkids enjoy their cosy new room when they stay over next week. I am blown over by the conversations my little article on blogs in the recent issue of Inside History Magazine has brought about on various social media. To see so many people talking about geneablogging and singing its praises is gratifying for someone who is passionate about blogging as a means of communicating and collaborating in genealogy. I have often said that blogging is a two-way street; it was refreshing this week to see lots of genealogists discussing blogs and blogging as a result of my article. Limiting a selection to just 50 blogs out of the 300+ that I follow is difficult as there are so many excellent personal and niche blogs in the blogisphere. There are so many worthy blogs that weren't on my list; last night I remembered that a blogging theme for today is Follow Friday. They give one an opportunity to record personal information for future generations ie they are a valuable genealogy resource for the future. Pauleen's meme is a fun one in which any blogger can participate. If there are bloggers in your family who blog about topics other than genealogy please encourage them to participate. I am delighted to present my response to the Merry Month of May Music Meme below. Did your family have sing-a-longs at home or a neighbours: I remember family singalongs at my grandmother's when I was 5 or 6 but she moved and gave the piano away about this time. When we were teenagers we used to gather at friends homes around the pianola and have singalongs. 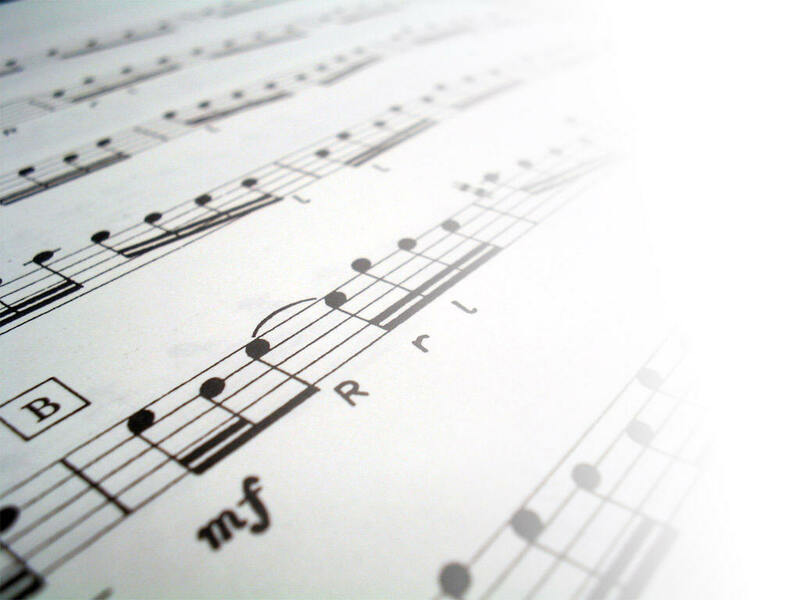 Did you have a musical instrument at home: No, my mother was so scarred from learning the piano with the nuns in Cobar that she would not countenance having musical instruments in the home. 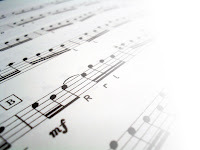 Do you/did you sing in a choir: Yes, I was in the school choir for an eisteddfod. I was put in the middle of the front row for facial expression but was warned not to let any sounds rise forth from my mouth. I was normally in the "crows" - a group for the kids who couldn't hold a tune. Romantic music memories: New Year's Eve KaiserBall with a dozen bands and orchestras plus the Vienna State Opera and Ballet at the Hofberg Palace in Vienna -The most stunning event we have ever attended. What dances did you do as a teenager: Maroubra Stomp, Stomp, Twist, Jive, Ballroom on a Sunday evening to the strains of Arthur Anderson's band in Greenstead Hall, Randwick. Silly music memories from your family: Husband woken from his slumber with a shock by the Triumphal March in the Australian Opera's performance Aida. Do you know Ted Jones?